This review is for the White Mountains Health Insurance Company of America. Also known as White Mountains Insurance Group, Ltd., the company specialized in financial services including property and casualty insurance through several subsidiaries. However, White Mountains Insurance Group does not offer any type of health or medical insurance. If you are in the market for either, you must contact another company or agent. Can’t find the right health insurance plan? Simply enter you zip code below to get started and find health insurance rates near you today! White Mountain Advisors, an investment management firm that has more than$30 billion in assets. These are the businesses that most of White Mountains’ business is conducted through. White Mountains Insurance Group is traded on the New York Stock Exchange and had a total market capitalization of almost $3 billion at the end of 2010. White Mountain Insurance Group has more than $14 billion in total assets and more than $3.5 billion in shareholder equity. The main corporate office of the White Mountains Insurance Group is located in Hamilton, Bermuda. The principal office in the United States is in Hanover, New Hampshire. 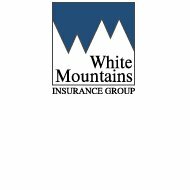 In addition to the three companies, which White Mountains Insurance Group does its primary business through, the company also owns four insurance businesses in whole, and has an ownership interest in two others. The two companies that White Mount Insurance Group has an ownership interest in are the aforementioned OneBeacon Insurance Group as well as Symetra Financial Group, a company that provides life insurance, annuities, and various benefits for employees. At the end of 2010, White Mountain Insurance Group holds between 15 and 20% of the ownership rights of Symetra. While White Mountain Insurance Group does not directly offer any insurance products, OneBeacon Insurance group offers many. OneBeacon International Marine Underwriters provides insurance for any product associated with the marine industry. OneBeacon Energy Group serves the alternative fuel and renewable energy field. OneBeacon Technology Insurance group serves only the technology industry, providing risk assessments and coverage for many different businesses. OneBeacon Property and Inland Marine covers marine items that are only inland. OneBeacon AWG Dewar insurance group is coverage for parents of college students who either are dismissed or withdraw from school. The OneBeacon Entertainment group covers individuals, companies, and venues that are associated with sports, concerts, entertainment and leisure activities. OneBeacon also has a professional relationship with the Hagerty Insurance Agency, which offers specialized coverage for collectible vehicles. OneBeacon Environmental can help different kinds of companies limit their risks involving environmental issues by offering insurance coverage and risk management assessments. The OneBeacon Accident Group focuses its insurance coverage efforts on large transportation and the corporate and business accident field. The OneBeacon Government Risks covers towns, counties, and municipalities, offering full coverage to any agency that receives public funds. The OneBeacon Professional Insurance group and the OneBeacon Specialty Property Group offer several specialized programs and coverage’s to various groups and businesses. The White Mountains Insurance Group does not have a financial strength rating from the A.M. Best Company, but the Sirius International Insurance Corporation has earned a rating of A (excellent). In addition, the White Mountains Insurance Group is not accredited by the Better Business Bureau. It has earned a B+ rating from the BBB, as there have been no complaints filed against White Mountains Insurance Group over the previous 36 months. There is no specific career page on the White Mountain Insurance Group website. However, each of the White Mountain subsidiaries has its own career page with detailed information on searching and applying for jobs within the company. Are you still having trouble finding health insurance? Enter your zip code below to get help!